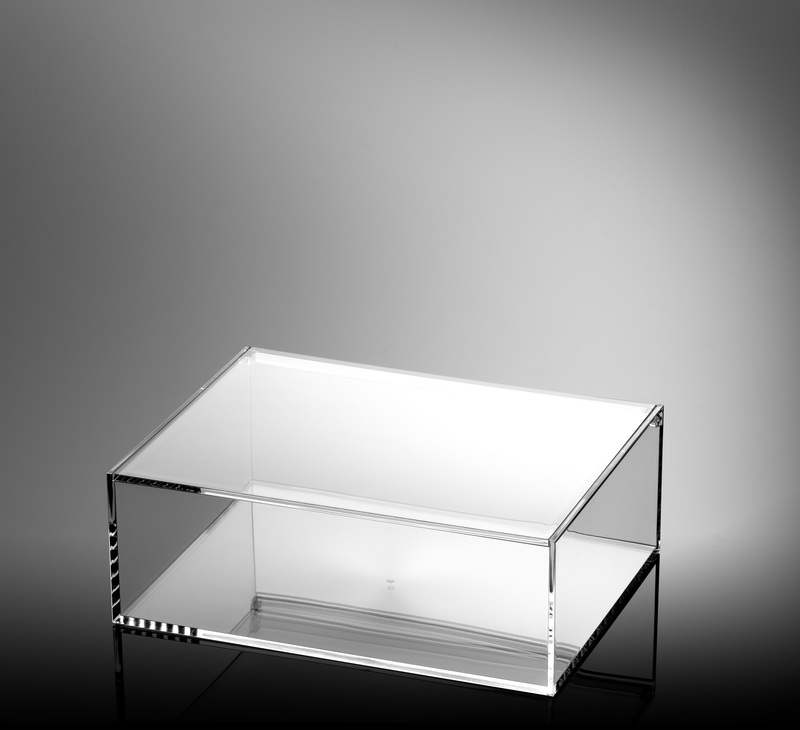 For over 50 years, thanks to their understated style and solid design, GAGGIONE boxes and cases have been popular in all industries. In addition to the wide range of sizes, formats and colours kept in stock, we offer custom inserts and personalised exterior marking! Find the whole range here! The semi-integral handle leaves plenty of room for products. 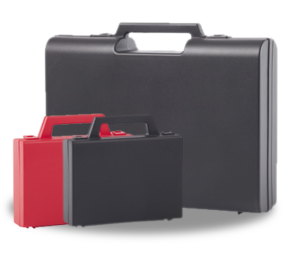 These mini-cases' design makes them lightweight yet completely shock-resistant. Choose from a variety of formats and colours. The integral handle makes them easy to store in a cabinet or workshop. 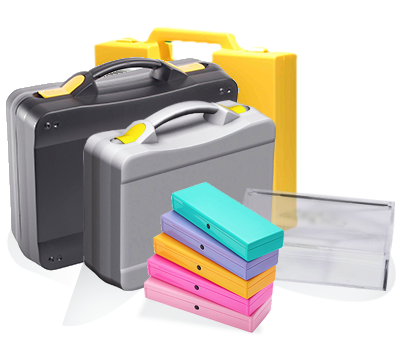 These cases are tough and hard-wearing, suitable for all activities. Mobile handle for easy storage. 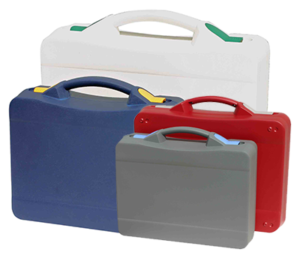 The light and handy M2 carrying case, in A5 format, is popular for its rectangular shape which makes it easy to arrange products inside. The M1, in A4 format, is particularly suitable as a mini-case for presentation or promotion purposes, with its "imitation leather finish" covering and "Attaché case" look. 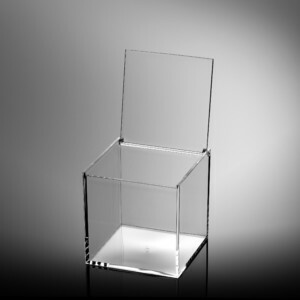 These boxes are suitable for your fragile products, or items requiring careful presentation. 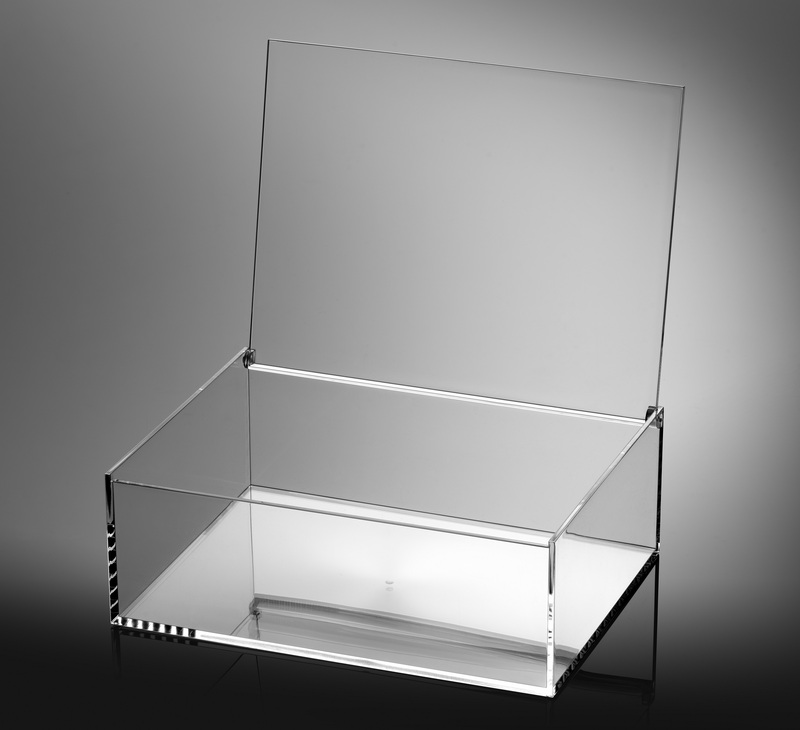 Available in A5 and pen box format, they save space and are easy to store as they have no handle. 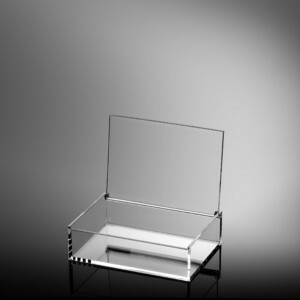 Find the best-selling "P3" pen box here with its ingenious and handy push button. Temptation through excellence! 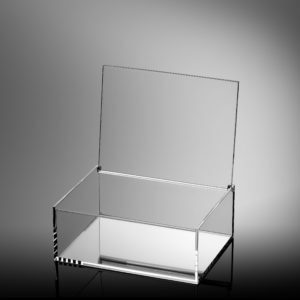 Show off your products in a totally transparent case and attract your customers by putting them in direct visual contact with your products. Several formats and materials available. 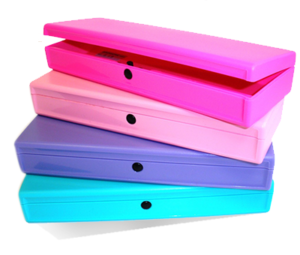 Stand out from the crowd with the T2T, T4T and T6T models, featuring coloured clasps. Very high standards of quality and appearance. The understated design and pure lines create the perfect showcase for exceptional creations! 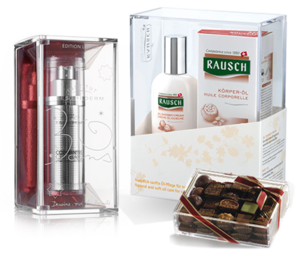 Customisable standard boxes, meeting the demand for flexibility, responsiveness and economy. 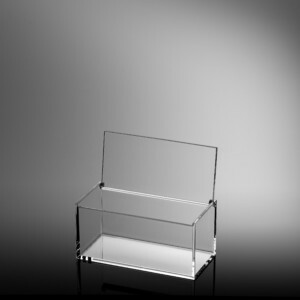 The range harnesses our expertise in manufacturing high-thickness transparent plastic parts. Tough, high-capacity cases in an original design. The clasps provide safety and solidity, as well as an original touch (7 colours available). They are designed to stand the test of time and are suitable for all industries. Your signature on the outside or an insert will make them even more attractive and communicative! 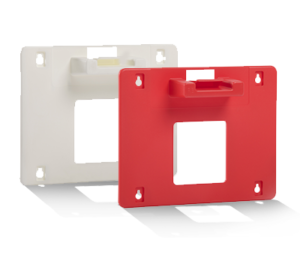 For selected models acclaimed by our customers specialising in first aid kits, the R2, R1 and L1, we offer wall mounts. In an emergency, the wall-mounted kit is easily identifiable by any user, enabling them to respond to an emergency as quickly as possible. 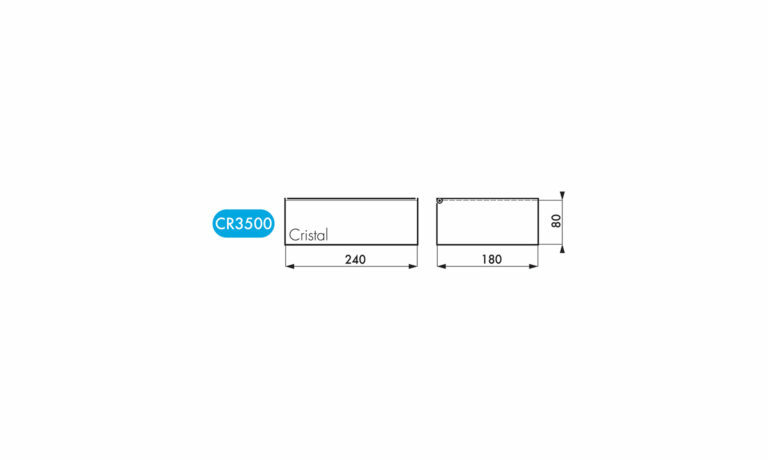 These wall mounts can be used in workshops, to help users quickly find spare parts or essential equipment for operating machinery. OBLIGATORY COOKIES These cookies are necessary for the proper functioning of the site. "Agillia-5bcac17b17e5de19f6c8254b3af4ee7c" Allows the management of your preferences on cookies. This cookie is used for compliance with the GDPR. The RGPD is a set of European regulations that represent the most important initiative in data protection. The aim is to protect individuals with regard to the processing of personal data and the free movement of such data. Stores the name of the user connected to the site. This information is necessary to allow a user to stay connected to the website without having to submit their username and password for each page visited. Without this cookie, a user can not access areas of the website that require authenticated access. jReject is a simple, lightweight library designed to display a browser-based pop-up, a specific browser version, specific platforms, or a rendering engine. Provides full customization of the popup. Uses a small CSS file and can easily be used when loading the page or during a specific page event. Also provides a flexible way to beautifully and cleanly display custom browser alternatives in the pop-up window. Allows the WordPress Content Manager to check if cookies are enabled in the browser. Google (www.google.com) operates the Google Display Network a collection of millions of websites and mobile applications that are powered by display advertising, including many Google services like YouTube. Google also operates the DoubleClick digital advertising platform: the ad technology foundation to create, transact, and manage digital advertising for the world’s buyers, creators, and sellers. Do not miss our events, new products, news. By completing this form, you agree to your personal data being processed by GAGGIONE. The information in this form is sent by email to GAGGIONE so that we can reply to your request. The information may be saved in a computer file with a listing of GAGGIONE contacts and will be processed confidentially. Data are kept for 3 years and will only be used by GAGGIONE. In compliance with European regulations on data protection, you can request access to the data concerning yourself and make changes to them by contacting: GAGGIONE SAS 3 Rue de la Rolland 01460 MONTREAL LA CLUSE – France. 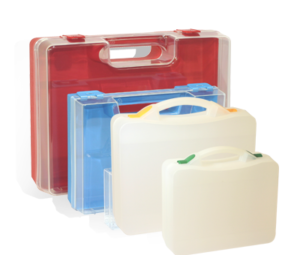 E-plasticase	Since almost 50 years, GAGGIONE has been creating and manufacturing plastic cases. 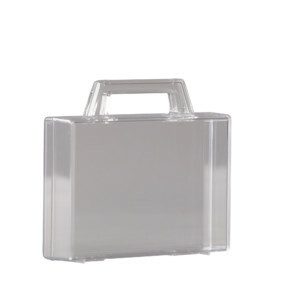 It began with a custom made case for a company who wanted to sell a kit of several products in a solid carrying case. 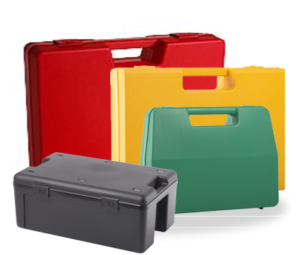 Our dedicated brand name to packaging, PLASTICASE, created in 1976, now offers a large range of more than 30 plastic cases and boxes in different designs, colors and finishing. 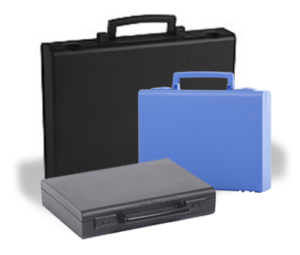 To make the most suitable case to your image, our specialists will offer you the best solution to present, protect and carry your products efficiently. Gaggione is well-known all over the world for its quality, efficiency and reactivity! Trust the Plasticase team who will make with you the most successful packaging you ever had !